Hail O Lord Narsimha, Hail O Lord in His ManLion Form.. 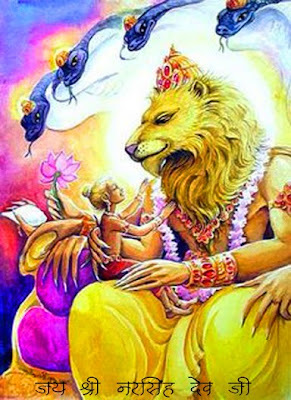 I bow to thee, O supreme Lord Narsimha, Hail O Lord in His Man-Lion Form.. !! Shri Hari Ashtakam !! !! ॐ नमः भगवते वासुदेवाय ! !